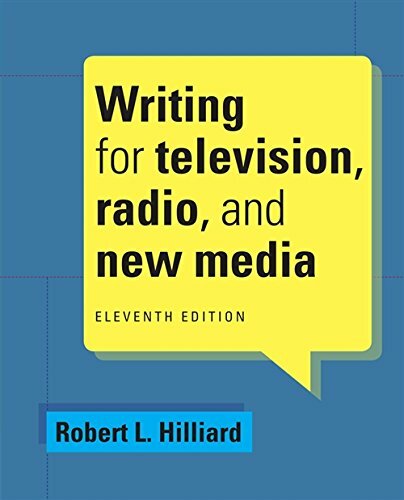 You can trust Hilliard's WRITING FOR TELEVISION, RADIO, AND NEW MEDIA to provide you with thorough and up-to-date coverage of the principles, techniques, and approaches of writing for television, radio, and the Internet. You'll learn about writing for a variety of formats, such as commercials, news and sports, documentaries, reality programs, talk shows, interviews, music programs, and drama and sitcoms. The book's comprehensive content, excellent organization, attention to form, and good examples ensure that you will be well trained for a career in the field.